I am always on the lookout for understated records with such sustained clarity of tone and voice so as they become embedded in one’s own mind forevermore. 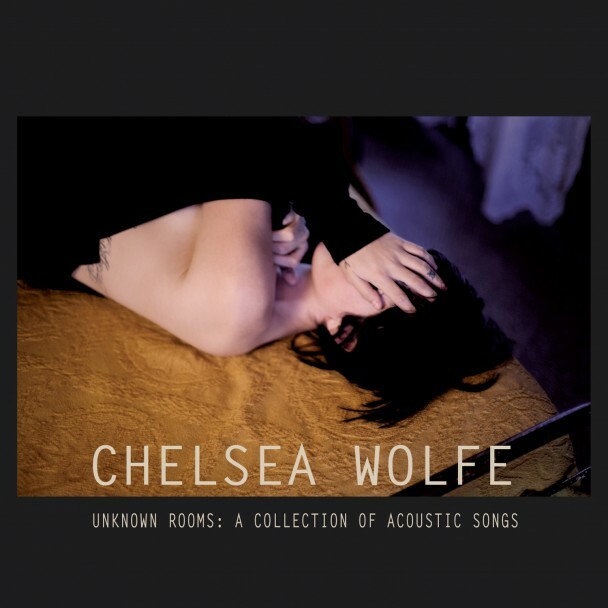 I had a good feeling about Chelsea Wolfe’s Unknown Rooms from the off; I believed if I gave it enough room it would grow into something special for me. Now I wake with it on my lips, repeated playback from the ghostly residual imprint, laying down in the lap-lapping of its tide. Based around the loose concept of collecting and updating some old material left out in the cold, Unknown Rooms is only just album length, but is no mere compilation or ‘stepping-stone’. This is a record of exquisite balance which draws the listener ever deeper in with seductive singing, masterful musicianship and production values to die for – a lot of credit must go to first-mate Ben Chisholm. Every note sounds just about as good as it could do, whereas every lyric is economic and efficient, and yet charged with emotion – the same sets of words delivered by another could mean nothing, rather than everything. This is the best thing Wolfe has delivered to date. It’s a low key departure, a subtle experiment, and a foundation block for a long and healthy career. A record reminiscent of many things, these always feel like ‘inspired by’ moments, and are never unoriginal, such is the cinematic omnipresence of the tone of the piece, its sense of self, if you like . . . we’re talking bass-heavy dark folk, soulful slow-core Americana, and equilibrium – stark versus rich – organic, natural, but with audible technology – microphones in the woods, landscape photography – all shot through with personal messages and decisive use of imagery, in a voice that can both freeze and thaw, and always keeps me coming back for more. Full article at Bearded Magazine.